Director, Jordan Nance met Ralph Epperson when he was just twelve years old. The two forged a bond around their love of radio and bluegrass music. 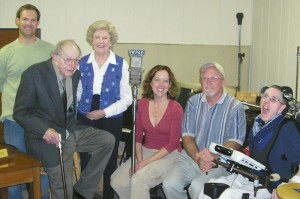 Jordan often visited Ralph at the station where they talked about the technology and the history of WPAQ. Jordan began to think that others would be interested in Ralph’s story and all the lives he has touched. So at the age of nineteen Jordan made a request to The Sunshine Foundation to grant him a wish to spend time on a film set and learn about filmmaking. Living with spastic quadriplegic cerebral palsy since a premature birth, Jordan has never allowed his physical or speech limitations to hinder him. Ralph Epperson clearly saw this in Jordan as well. 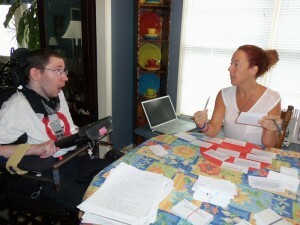 When Jordan’s wish was granted he was connected with a television show shooting in Wilmington, North Carolina. His contact on the production was Beth Crookham who would one day become his film producer. 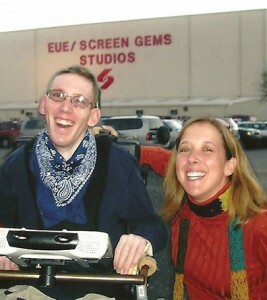 Jordan and Beth spent time together on set as Jordan learned all he could about television production and shared his idea about telling Ralph’s story. Beth encouraged him to just get started and at least conduct Ralph’s interview. 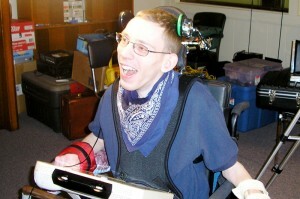 Jordan developed a way to conduct the interview using a laptop PowerPoint presentation connected to a toggle switch on his wheelchair that he advanced with his head. On April 11, 2006 Jordan, Beth and his crew traveled to Mt. Airy, NC, to shoot the film’s first interview with Ralph. As fate would have it this was the last interview Ralph ever gave as he passed away just six weeks later. Saddened by the loss of his dear friend the project went on hold until 2008 when Jordan decided it was time to continue. He and his parents began setting up interviews and traveling around the region to meet with people who knew about Ralph and the early days of WPAQ. Jordan conducted over 35 interviews and had well over 40 hours of footage as well as access to Ralph’s recordings from the 1940s and 50s of local bands, commercials, news, and test broadcasts. 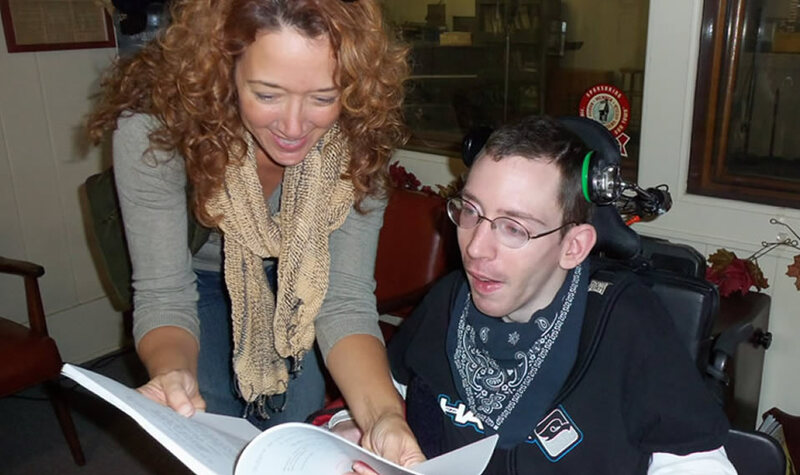 In 2012 Jordan reached back out to his friend Beth to see if she could help him learn about the post-production work he now needed to do. As it turned out, Beth had just wrapped work on the show in Wilmington and was willing to jump on board and help Jordan work through the post-production process. Together they took the footage and with the help of Joy Nance and the talents of countless others they put together a film of which Jordan is quite proud. He hopes this tribute to his buddy Ralph Epperson and the early days of WPAQ will give you new appreciation for the string music of the Blue Ridge which they both love.